We’re excited to announce that Corra will be sponsoring the 2015 eTail West conference, held this year at JW Marriott Palm Desert Resort & Spa, from February 17-20.
eTail West is an annual conference that brings together ecommerce and multi-channel commerce executives and innovators from around the world. With topics ranging from online marketing and digital engagement to customer retention and analytics to usability and design, eTail West is on one-stop shop for retailers to learn, get inspired and find lasting business solutions. Stop by Corra’s booth (#614) for a quick demo and to see how we can help you create the rich, shopping experiences for your customers—in store, online, via mobile, and beyond. 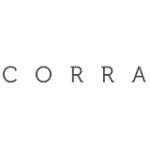 Corra is a New York and Los Angeles based digital agency that delivers high performing ecommerce solutions for fashion, lifestyle and beauty brands and retailers. With a team of more than 100 ecommerce strategy, creative and technology professionals, Corra delivers rich shopping experiences across all channels and devices by balancing the right amounts of branding, commerce and content for each client. Corra is trusted by retailers of all sizes to implement and support Magento Enterprise, Demandware and hybris platforms.